When unconditional love is revealed, it serves as an example of what life can be like here on earth. Spirit works in miraculous ways if you just provide the willingness. A vision quest is a Native American ceremony that in the Lakota language is called hanblecha, which means, crying for a vision. It is a calling out to Spirit, to God, to Great Spirit with a request and questing for an answer. The vision quest is traditionally done for four days and four nights. The person on the quest sits isolated with no food or water connected through prayer to Spirit. Different cultures with similar intents conduct the quest with variations in time and practice. In all cases, the person on the vision quest places himself/herself in a precarious position and trusts and calls out to Spirit in a ceremonial way. Additionally, other participants remain in camp and offer support to the persons on the quest. These supporters check in on questers periodically and pray for them during their vision quest. It took one year to prepare for my hanblecha. Traditionally, there is a year of preparation, the actual vision quest, and then a year of unfolding. I reference this story to underscore that God is continually teaching me about love. Unconditional love is the basis of the universe and spirituality. Too many humans have no experience of love without conditions. In our society, love often has strings attached. Punishments, judgments, overpowering demands, and competition are all marionette strings that control human behavior. If you have not experienced unconditional love, it is almost impossible to understand or to hold its wisdom. I hardly have words to explain the phenomenon in general terms, and it is even more difficult to describe it in the way that I experienced it. I had many mystical experiences during my vision quest. I would like to focus on one in particular. I feel that this experience was not only meaningful for me but also contains a message for all beings. Let me preface the story with a ritual that I did the morning before I left my house. I have a little bag of terra cotta hearts that I often give as gifts to my clients after I do a soul retrieval. Each heart has a word inscribed on its face to impart some sort of inspiration or message. I usually meditate with the bag in my lap or in my hands, asking the spirits which divine message I should give. I then reach in with my hand and pull a heart. On the morning of my quest I did this for myself. The heart message that I drew was willingness. I took it to place on the altar I had created at my vision quest spot. On the first night of my quest the August moon was full. Nature had provided me with wonderful weather conditions and surrounding beauty. The moon was big, beautiful, and in full glory as I viewed her from my sacred spot. I held a prayer stick that I had made for the event-a sacred stick with white leather prayer bundles containing tobacco hanging from it. Tobacco is often used as an offering to the spirits. If you place your prayer, through intention, into the tobacco, then wrap the tobacco up in a piece of cloth, it becomes a prayer bundle. I had chosen beautiful white leather for my bundles, and had treated the stick as a work of art for I had put much creativity and intention into creating this sacred item. In fact, my whole year of preparation had involved this level of intensity. I took the entire process extremely seriously and went the extra mile to insure that I prepared appropriately. I had no doubt in my mind that when I entered my sacred spot for my vision quest, Spirit knew I was serious. The spirits had asked me to do this sacred ceremony in a previous shamanic journey, so here I was. Even though I had gone through all of this preparation, there was one thing for which I was not prepared. I was ill when I began the quest. I had developed a severe sore throat and cold days before the ceremony was to start. By the time I was to go to my spot, I was extremely ill. It took every bit of energy I could muster to go through with it. I also had no idea how uncomfortable I would be sitting on the ground with an aching body. My senses were dulled and whatever natural abilities I possessed were hampered by the oppressive aches and discomforts of the sickness. I felt very distant from Spirit. I found myself staring at the terra cotta heart willingness. Even though I felt completely disconnected and discouraged, I had the willingness to continue and to trust Spirit. It was about 2:00 a.m. and I was sitting with my back against a tree. I had been sitting for hours taking in the solitude of the night. It was during this quiet time that I distinctly heard someone say Jan. I looked around, expecting to see that my support person had come to check on me. No one was there. I again heard my name, Jan. I looked around again. This time I stood up and turned. I heard it a third time and realized that the sound was coming from above. I looked to the moon. Could the moon be calling my name? I was seized by emotion. My legs started to tremble, my eyes filled with tears. Because of my weakened condition, I had no energy to doubt or to second-guess what was happening. I just followed the direction of my heart. I raised my prayer stick to the moon and held it up and out, as if offering it to this mighty sacred one of the sky. I began crying out my prayers of intention. I knew that the moon was hearing me and communicating directly with me on this sacred night. The next thing I knew I was traveling through space. I traveled up and up with the speed of light, all the way to the moon. I magically became the moon. As I merged with it, I could see myself standing down on Earth: This little person, holding her prayer stick into the sky, crying, and trembling both with emotion and weakness. Her heart filled with love, dedication, willingness; asking to be heard and noticed. I was overwhelmed with compassion, with unconditional love, with emotions that no words can describe. I had become the moon. I had become Great Spirit, the universe. On an emotional, physical, mental, and spiritual level, I experienced a love that was greater than anything I had ever imagined or humanly experienced. My cells throbbed as they absorbed and responded to this experience. I had no bodily connection to this little person I was watching below, but I had an overwhelming heart connection. I loved her beyond what I had ever experienced in the human realm. I understood what it means when God says to love unconditionally, not only others but oneself as well. I do not know how long I spent on this sky adventure. When my spirit reentered my body, it slammed me into the ground and I remember hitting my head hard. I also heard a thud, a sound like that of someone hitting you square on the chest with a flat hand. The experience was like none I had ever had. Even with all of the journeying I had done, I was not prepared for this encounter. The experience was not induced by drumming or intention. I physically and audibly heard my name called and I responded by making myself available. Spirit then took me on a journey to learn about love-the kind of love that Creator holds for us, and the love of which the universe is made. It awakened in me a deep understanding of what Spirit means when it refers to love. This love is of the magnitude contained in the light so often referred to in near-death experiences. It is the love on which enlightenment is based. It is beyond what many of us know, but it is within reach of all of us. When unconditional love is revealed, it serves as an example of what life can be like here on earth. Spirit does not wave such promise in front of us and then say, Sorry you cannot have any. Spirit allows us such remarkable experiences so that we can have a tangible event stored in our cellular memory to call upon when the time is right. This memory compels us to keep sight of what we strive for-peace, unconditional love, and freedom from judgment of others and of self. Spirit works in miraculous ways if you just provide the willingness. Jan promotes self-healing, empowerment, better communities, a healthier world and conducts workshops for shamanism and journeying. Her book, Becoming Yourself is at http://www.janengelssmith.com . Jan is a shamanic practitioner and has done over two thousand soul retrievals. She is a Licensed Counselor, a Chemical Dependency Specialist, and Marriage and Family Therapist. She is also a water pourer for sweat lodge, a minister, and a Reiki Master. 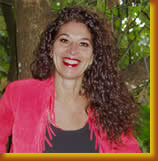 Jan is the Founder of LightSong School of Shamanic Studies and LightSong Healing Center. She wrote "Becoming Yourself: The Journey from Head to Heart, which won the editor's choice award. Jan has produced two CD's: Take Your Body With You, and Awaken/Unburden/Create.